BROOKFIELD, Mo., Sept. 12, 2018 /PRNewswire/ -- Apex Plastics, a custom blow-molding company based in Brookfield, MO and creators of the Original Option Pak, announced the latest version of the Option Pak line - the Option Pak "Next Generation". This new stylish design will give brand owners more packaging options, that will help their product have premium shelf presence. The Option Pak - Next Generation comes in an 8-inch size canister, with a square base that provides more stability for both filling and standing on the shelf. Its oval opening fits the same lids as the Original Option Pak. The Next Generation offers a flat front and the new "S Curve," both allowing for a unique custom label that will catch the consumers' eyes. "At Apex we want to offer our clients an attractive packing option that can increase their sales potential by catching the consumers' eyes," said Damian Neff, President of Apex Plastics. 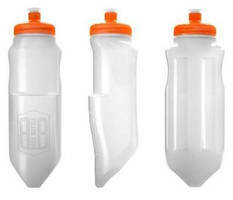 "The Option Pack Next Generation bottle is not only a more attractive option, but it was also designed with versatility, functionality and convenience in mind." 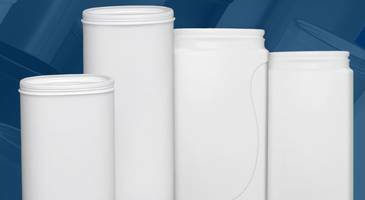 Apex Plastics is a part of the PCE, Inc. Plastics Division, which also includes HTI Plastics and Lincoln Plastics. The manufacturing process of the Option Pak is a collaborative effort between Apex's blow-molding capabilities to produce the canister, and HTI's injection-molding process to produce the lids. The partnership of all three plastics division companies enhances the already robust capabilities of all Apex, HTI and Lincoln Plastics. 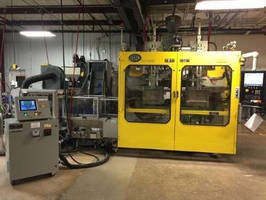 PCE, Inc., a privately held corporation founded in 1993, has three divisions with manufacturing capabilities in blow-molding, injection molding and profile extrusion. PCE, Inc. does business in six continents with solutions for every size of company. www.pce.us.com.